As the new website continues to evolve we evolve along with it. We have decided this page will not be a ‘Newsletter’ as such but a ‘News Release’ forum. The Newsletter will still be released as it always has and some of the stories that appear in the Newsletter may find their way onto here, but as some of the notifications on the Newsletter are intended for residents only we won’t be publishing all that info online. So from now on this avenue of communication will be known simply as ‘Village News’ unless you the residents want to come up with a more exciting name. As with our last publication we are going to reflect on a past event which is indicative of our village community and village life. The 2015 ‘Biggest Morning Tea’. 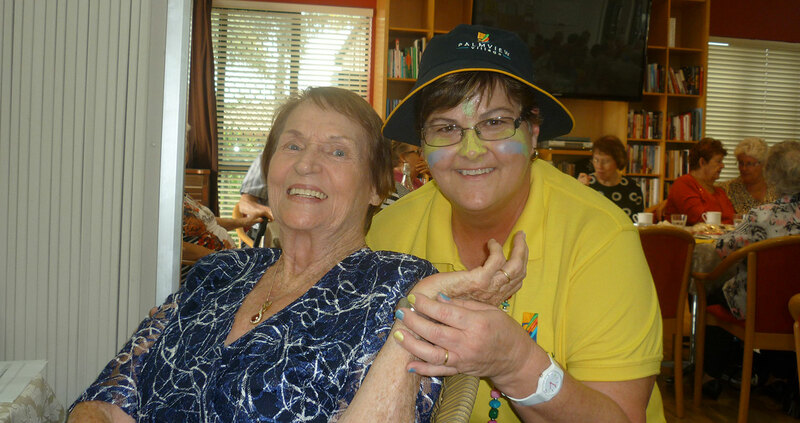 This was our seventh annual Biggest Morning Tea at Palmview Village. This is our biggest fundraiser of the year and this year was hugely successful with lots of prizes and giveaways in as lucky doors and raffle draws. Every Year we profile a different cancer group and this year we profiled skin cancer, with our guests asked to come in their ‘Sunsmart’ outfits. We held a fashion parade by W-Lane, Mount Pleasant which was once again popular. 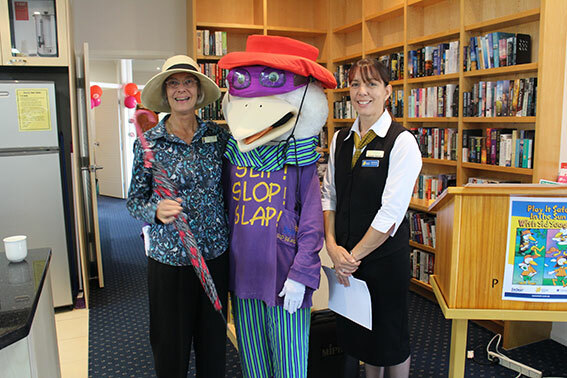 Photographed is the winner of our ‘Sunsmart’ outfit, Sue Blaxland, one of Palmview Village’s residents with Syd the Seagull and Belinda Hassan, from the Mackay Cancer Support Group who addressed the guests about where the funds from the fundraiser were spent, telling us that the funds stay in the Mackay area.